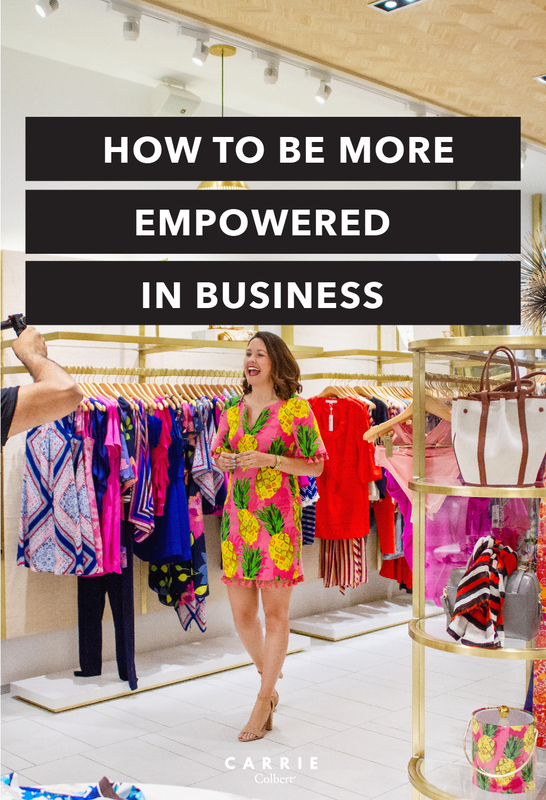 With this month’s theme word being “empowerment”, it only made sense for the next article in my business series to center around empowerment in business. Specifically, how can we as women feel and act more empowered in the work place? We’ve talked before about impostor syndrome and how that plagues over seventy percent of women in the work force! That nagging feeling of doubt can really cripple how we perform and achieve in the business world. While we talked at length about effective strategies for overcoming impostor syndrome, I now want to take it a step further. Let’s talk about empowerment at work. What does it mean to be empowered in the workplace? How can we feel more empowered at work? And how do you demonstrate empowerment in business? Lastly, if you have employees, how do you empower your employees? What Does It Mean to Be Empowered at Work? 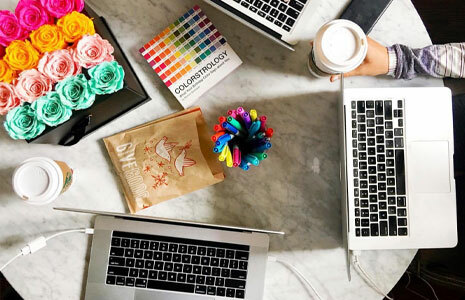 Empowerment is a term thrown around a lot these days – in regards to life in general and in regards to business specifically. However, nailing down a definition for this word is not so simple. It’s a state of being that requires a bit of description. In fact, the concept is a bit subjective. All we know for sure is the end result is a feeling of confidence and assuredness. In general, the notion of empowerment carries with it the idea that you’ve been given the resources, skills, powers, and authority to take action. Living an empowered life means you are always learning and growing. Essentially, an empowered life cultivates and harnesses all the power within you and around you to make yourself and the world a better place. Thus, it follows that empowerment in business centers on the idea of being fully equipped to do your job. And as you feel equipped within yourself and with your work environment, you are empowered to produce your best work. When you’re at your best, you win, the company wins, and theoretically the world is better for it. How Can We Feel More Empowered at Work? Why do I saw that is the overriding principle to feeling more empowered? That’s because when you are trying to be someone else, you by definition will not feel like your most powerful self. Trust me. I speak as a woman who worked almost twenty years in the oil and gas industry. By many standards, that industry might still be considered an old boys club, so to speak. I cannot tell you the number of times I sat in a board room when I was (a) the only female in the room, and (b) the youngest person in the room. The pressure to conform is real in those situations! Truly, when you look around you and above you, and you don’t see anyone who looks like you, fitting in can seem like the easy way to succeed. Look like them, sound like them, talk like them, dress like them, and then maybe success will follow – right? Wrong! When we conform we give up our biggest strength – our uniqueness! I spent many years trying to tone down my femininity, only wear neutrals, keep my personality hidden, and so on and so forth. But that wasn’t serving anyone well! I certainly wasn’t feeling empowered. I began to feel empowered in business when I felt comfortable in my own skin and acted accordingly. So, how can you be true to you in business? Success looks and feels different for different people. Don’t conform to societal norms and pressure. Then, make choices based on whether it advances you towards your vision of success. 2. Define happiness for yourself. Forget about what it means to others! Figure out what makes you happy, and do more of that. Chart your own career path. Sure, the company has objectives to meet and career paths defined for employees. But be sure you aren’t just following their corporate road map. Rather, make sure you chart out your own path. And there may come a time when that path leads you to leave the company and pursue another opportunity. We all need to lean on the experience and wisdom of others at times. But there is also a time to set aside the opinions of others and simply trust your gut. You know you better than anyone else. So, at the risk of sounding cliché, you do you! Surround yourself with those who lift you up and challenge you. Undoubtedly, around here, we believe that empowered women empower women. So, look for strong role models to lead the way for you. Or look for like-minded colleagues to run the race with you. Then, when the time is right, pass your empowered mindset onto those behind you. How Do You Demonstrate Empowerment in Business? Once you get to that point of (1) overcoming impostor syndrome and (2) feeling empowered, how do you demonstrate your empowerment in business? As I’ve said before, I totally believe in the notion of dressing for the job you want – not the job you have. But that adage is a little less clear in today’s business world where sometimes casual is the norm. For updated opinions on what this means today, be sure to check out this article. But the bottom line is that you should dress in a way that presents yourself how you want to be perceived. I’ve always held that the best ideas in the world are worthless if they can’t be expressed clearly. So, be sure to do just that. Speak clearly, enunciate your words, and always allow room to listen as well as speak. Shoulders back, chest proud, hands out of your pocket. You know the drill. It sounds cheesy, but you never get a second chance to make a first impression. So, carry yourself accordingly. Send the message you’d want people to receive if they’re seeing you for the first time. One of my MBA professors John Daly had plenty of memorable quips, but one in particular applies here. As he was teaching our Leading People course, he pointed out that your office speaks volumes about you. So, yes, keep it tidy and organized. But more over, you must realize that every single item in your office says something to those who enter. So, be intentional with the items you place in your office. Think about the messages you want to send, and choose office décor wisely. I’ve always believed that nothing trumps results! Know your stuff. Be the best at what you do. Do not do just what’s required, but even more than is required. Knowledge is power, right? And when you demonstrate that you are the most knowledgeable about your area of expertise, you can’t help but feel empowered. How Can You Empower Your Employees? Empowering employees is a huge topic in and of itself. With empowerment comes responsibility and accountability. I feel very strongly about finding the right people and then empowering those people to do their jobs. Let’s save the details of this discussion for another time when we can do it the service it deserves. Now, what are the ways in which you can tweak your mindset or your actions to feel more empowered in your business life? This is more than an academic discussion. It’s a practical topic that should be lived out! So, let us know your thoughts on this article and how you plan to enact it! Thanks so much for reading! Have a great day. You’ll Want to Try These 3 Easy Christmas Cookie Recipes! You'll want to try these 3 easy Christmas cookie recipes! Get ready for your Kentucky Derby party with this delicious cocktail.